Kick off the holidays with a concert by LeAnn Rimes at the Chinook Winds Casino December 1, 2012 at 8:00pm and December 2, 2012 at 5:00pm! Rimes has won many awards, including two Grammys, three ACMs, a CMA, 12 Billboard Music Awards, and one American Music Award. Don't miss this opportunity to enjoy this memorable holiday concert in the intimate setting offered by Chinook Winds Casino. Spend a holiday evening with this unforgettable performer when she returns to Chinook Winds on December 1, 2012 at 8pm & December 2, 2012 at 5pm! Tickets go on sale September 1, 2012 at 8am! Reserve your seats by phone at 1-888-MAIN ACT (1-888-624-6228), in person at Chinook Winds Box Office, or online. 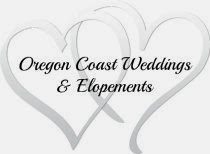 Chinook Winds is just a 30 minute drive south of Sandlake Country Inn.